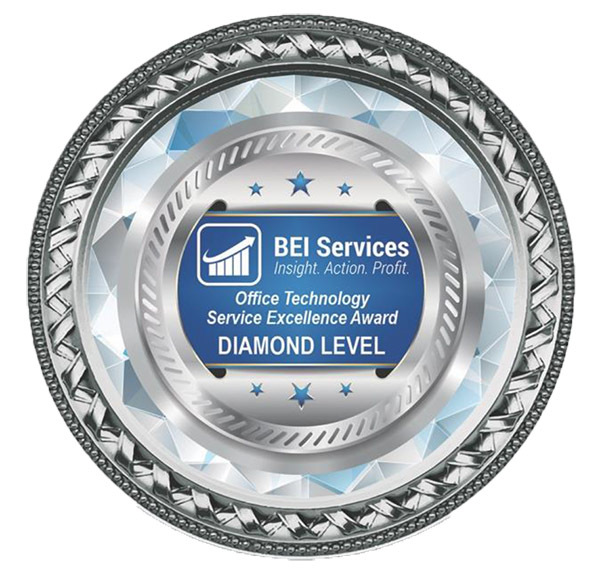 This award is determined through committing to a full audit of individual technicians and overall service department performance by BEI Services Inc., the nation’s only unbiased source of service and equipment benchmarking. Only companies that have a proven track record of service excellence in areas that relate directly to customer service, machine performance and overall Service Department efficiency are awarded. Performance is measured in 11 different service performance areas, centered on analytics and unbiased benchmarks for service excellence that must be obtained. Both current and historical service and equipment performance data is collected to continually monitor and ensure that the customer experience is consistent. 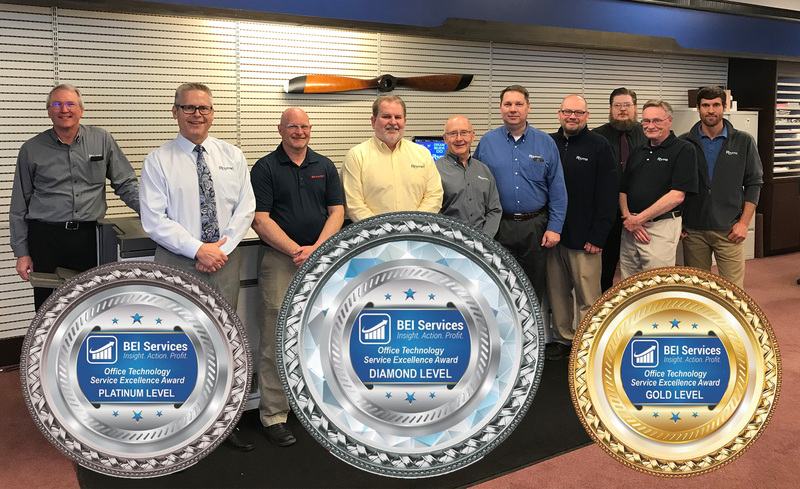 Congratulations to our team of Service Technicians, twelve of whom are recipients of the prestigious Office Technology Service Excellence Award. Their commitment to success brings success to our vendors, clients and communities.